The London area of Hampstead is renowned for its intellectual, artistic, and literary associations. Filled with a heady mix of impressive Georgian architecture, alongside iconic buildings with Grade I listed status, Hampstead is the home to some of the most architecturally-significant historical buildings in the UK. 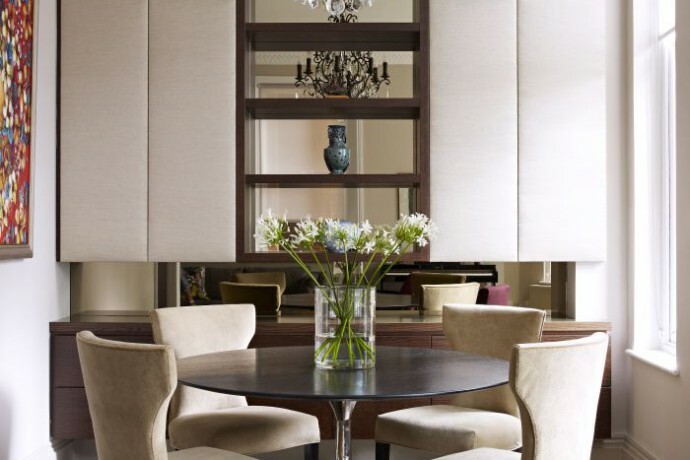 Callender Howorth have worked on many Hampstead interior design projects over the past twenty years from large mansions to lofty penthouses and arts and crafts appartments. The results of the work of our Hampstead interior designers were stunning; with a stylish, calm and spacious family home created, which exceeded the client’s understandably high expectations for a home in Hampstead. The area is famous for its beauty, sophistication and affluence, and over the years has been the home to some of the world’s most renowned architects. Walter Gropius, Marcel Breuer, and more recently James Stirling, to name a few, have all lived in Hampstead’s famous Isokon building. Architecturally, Hampstead is rich in diversity and the location of many 17th century stately homes seeped in history and grandeur, numerous elegant mid-19th century buildings and art deco creations such as the 1930’s Belsize Park mansion block. Hampstead contains some of the most expensive housing in the London area. But not only does it have a history of unique and striking homes, unlike many other London areas, it also boasts a large expanse of picturesque parkland. Known as Hampstead Heath, the location inspired many poems by romantic poet, John Keats who once resided in his Hampstead-based Georgian Regency villa, Keats House in the early 19th century. The neighborhood is synonymous with art, literature and British culture, making it the home to an abundance of places of interest. The Camden Arts Centre, the Freud Museum and the Swiss Cottage Central Library are all popular attractions for Hampstead’s numerous intellectual residents. Other than magnificent architecture, Hampstead is also celebrated for the quality of its shops; a number of high-end boutiques and cafes line the local High Street. Additionally, the Hampstead Antique and Craft Market has been attracting lovers of unique and vintage items to the vicinity for over four decades. The neighborhood also hosts a number of noteworthy eateries, including Gaucho, Jin Kitchi, Roebuck, Horseshoe and The Wells Gastro Pub. Perfect for families, Hampstead is the home to a number of excellent schools, including Devonshire House Preparatory School, Hall School, St Margaret’s School, South Hampstead High School and University College School. It is easy to see how the exclusive area of Hampstead attracts well-known faces including Jude Law, Kate Winslet, Gwyneth Paltrow and Tim Burton; to name just a few of it’s famous residents. This is an area that oozes outstanding natural and architectural beauty, and so it can be understood why Hampstead holds the reputation of being the most picturesque area in London. Consequently, the entire borough is designated as a conservation area to ensure its elegant appearance is maintained. Creating interior designs appropriate for an area such as this is admittedly challenging, and requires in-depth knowledge of the location itself to ensure a result that fulfils the expectations of this breath-taking borough. With an area like Hampstead – having such magnificent architecture, famous buildings and affluent residents – getting the interior design of the property correct is imperative. With strict residential constrictions to ensure the upkeep of the area, Callender Howorth rise to the challenge in using our designs to continue to maintain the elegance and style of the area. Please find all London interior design services here.